No project is too challenging for us! Building trust and superior quality homes in the Bloomsburg, PA area for many years, Moore Construction will build you an efficient, high-tech home beyond your dreams. Moore Construction includes extra features to enhance your comfort, health & safety that many other new homes do not. From the initial lot purchase to the final walk-through, Landmark has the experience and knowledge to do a fantastic job for you. Moore Construction has steadily grown as home builder and renovation company. 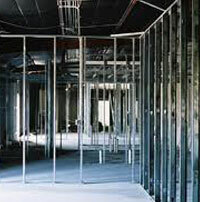 We specialize in new construction, commercial renovation, room additions, kitchen remodeling and bathroom remodeling. We service Bloomsburg, PA and surrounding areas. Moore Construction is a full service licensed general contractor. Whether working on custom bathrooms, kitchen remodels, building custom homes or renovating commercial buildings, our continued success is do to our commitment on practicing safe construction methods and strict compliance with all applicable laws, rules and regulations. We work closely with clients, civil and structural engineers, architects and designers with a collaborative mind-set on a common goal; delivering a successful construction project. Moore Construction can provide businesses and other commercial buildings with the construction services they need to start, maintain, or grow their company. We can evaluate your electrical panels for any changes and properly label any additions on your panels, which is required to be done every five years. We also perform drain and infrared inspections and surveys. In addition to the services you would also expect with residential construction (insulation, roofing, hardwood floors, expansion, etc. ), Moore Construction can install permanent fixtures such as booths, counters, railing and walls on upper floors, lighting, bathroom stalls and other restroom fixtures. We build parking structures, elevators, balconies, and any other structure unique to the building’s architecture. We design and build commercial buildings that will hold multiple business entities and create the best layout for the space each tenant will need. 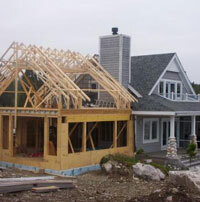 Moore Construction provides complete services for residential projects. 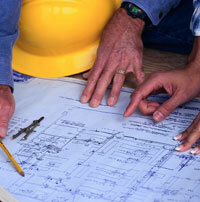 We can start from scratch, work off of floor plans, or remodel an existing home. We can build anything from the structural frame of your home to hardwood floors, insulation, and drywall, to roofing materials which we install quickly and efficiently. Moore Construction can remodel a kitchen or bathroom, complete a room addition or lay tile. We also pour concrete driveways and paths, put up fencing and decking, and install electrical and plumbing fixtures. If your home has been damaged in a flood, fire, or break in, we can perform the necessary repairs covered by insurance. It may be easier to ask what we don’t do to help you finish or renovate your home because Moore Construction does just about everything. At Moore Construction our goal is to provide our customers with complete satisfaction. We are dedicated to not only meeting, but also exceeding your every expectation. 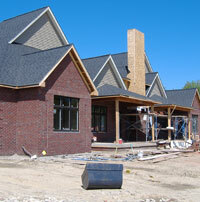 our renovation services include roofing, siding, bathrooms, windows, kitchen, and interiors/exteriors.